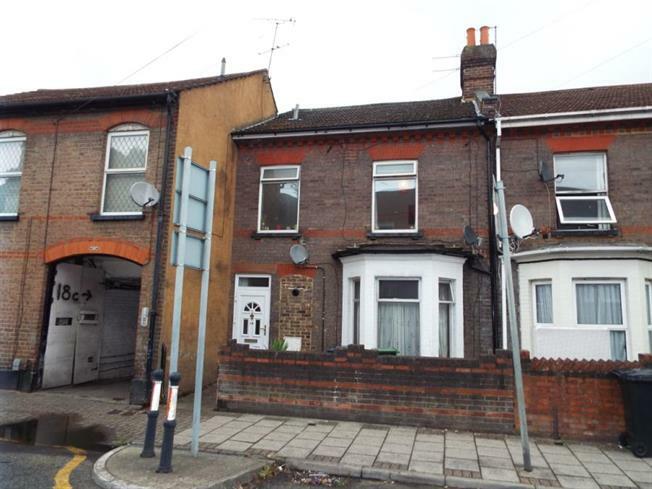 1 Bedroom Upper Floor Maisonette For Sale in Luton for £160,000. A very spacious one bedroom upper floor maisonette situated on Russell Street within walking distance to Luton Town Centre & Luton Train Station. The property has an entrance hall with stairs leading up to the maisonette, a hallway, lounge, refitted kitchen, large double bedroom & a refitted bathroom. The property is a share of freehold between 3 maisonettes and has a lease of over 900 years with no charges or ground rent.